Hello! 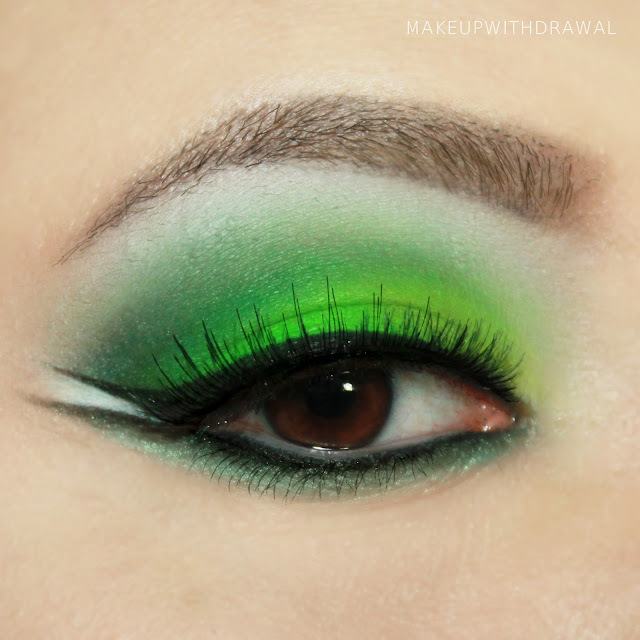 Today I have a review of the BH Cosmetics Take Me To Brazil Palette. I've been playing with this palette for a few weeks now and you might have seen some of the looks I created if you follow me on Instagram. BH Cosmetics is perhaps known best for their huge palettes of bright and affordable shades. Take Me To Brazil is one of the newer palettes and is filled with near neon eye searing shades in a variety of finishes. It's housed in a magnetized slim cardboard packaging that is both practical and sturdy. Altogether there are 30 shadows inside. The round ones are each about the size of a nickel while the rectangular shades at the bottom are each about 3/4" x 3", very plentiful. I swatched the entire palette over bare skin. The swatches correspond to their location in the palette, with the white and black shades on the wrist of the second pic. We have four rows of color, two are matte, one is satin and the last row is shimmer. The white-ish shade is actually a frosty white with a hint of green iridescence and the black is matte black with great pigmentation. The two rows of matte colors have good pigmentation, the satin row has decent pigmentation but the shimmer row is really sheer and does not build up. They are really buttery but never amount to more than a wash of color. 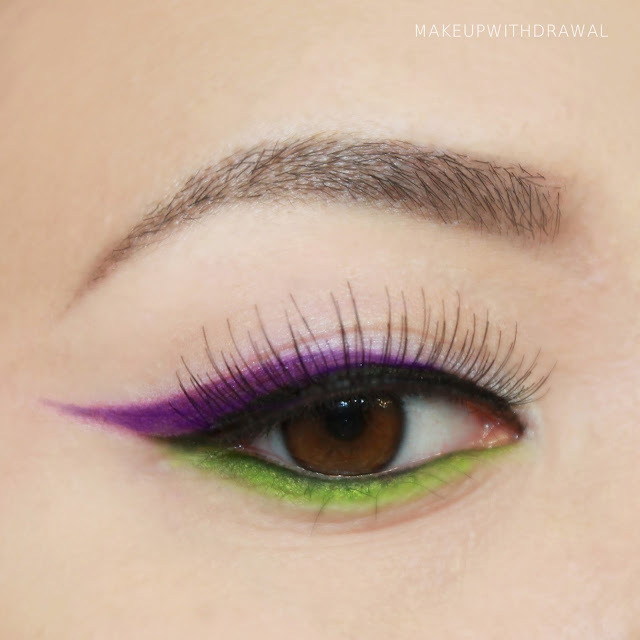 I used the two matte purples and the neon greens to create this graphic liner look. 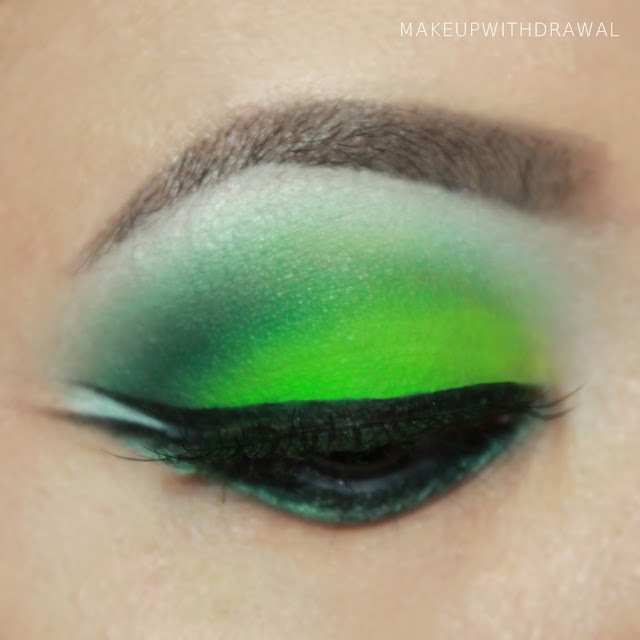 I used pretty much every green shade in the palette for this look, as well as a bit of yellow. 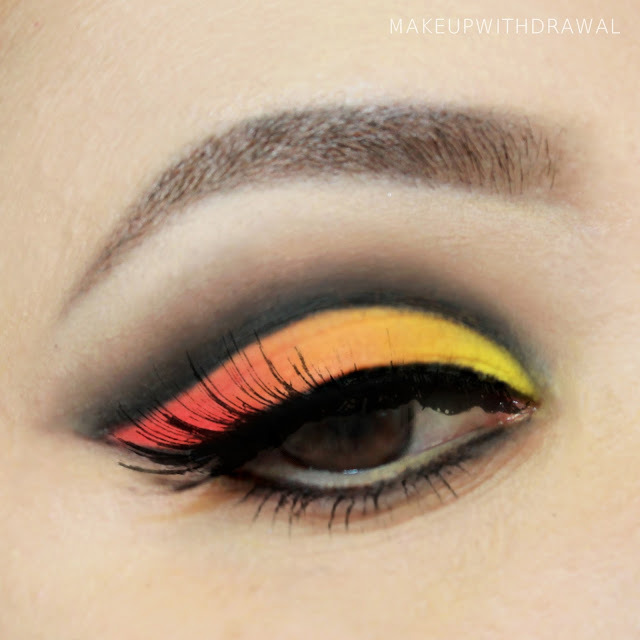 For this bright look I used the matte red, pink, oranges and yellows. Without a doubt my favorite shades in this palette were the matte colors. I didn't use the shimmery ones as much. I think that for the price (regularly $19.95, on sale for $9.95), beautiful bright matte colors of this caliber make this palette an exceptionally good deal. For anyone who wants to dip their toe into insanely bright colors, I'd definitely recommend this budget friendly BH Cosmetics Take Me To Brazil Palette. I'm so pleased with this first foray into BH Cosmetics, I'm eagerly planning to get more palettes! You guys should check out the BH Cosmetics Malibu Eyeshadow & Blush Palette too, it's so adorable and travel friendly. Check out the store here.